For the most part, Side Show feels all too familiar. And that's pretty ironic for a musical that celebrates difference. 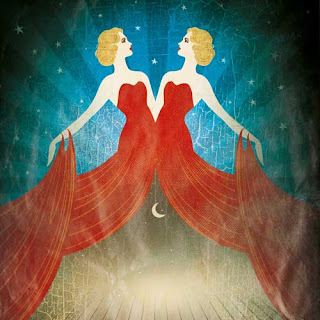 Originally performed on Broadway in 1997, its book and lyrics are written by Bill Russell who uses the backdrop of a freak show to preach about the triumph of the outsider, acceptance and sisterhood. It's based on the lives of Daisy and Violet Hilton, conjoined twins who became notable performers back in the 1930s. Picked up by a talent scout and a fellow performer whose motives remain shady until the end, the girls' delicate naivety is forever exploited but never quite for their own gain. You can take the girls out of the side show, but you can't take the side show out of the girls. Thematically, the show is unoriginal and does nothing unexpected, instead following the usual rules of musical theatre in a fantasy where everything works out for the best. Even the sisters ultimately find solace in one another. The only character to truly lose out is their protector Jake who develops feelings for Violet, but fitting with the period, interracial love is one freak too far. The score, from Dreamgirls composer Henry Krieger, is also familiar, mostly delivering a series of shuffling, derivative show tunes. That said, the tension of the second act allows his writing to flourish with dramatic ballads and beautifully soaring melodies. It might not reach the highs of "And I Am Telling You", but the sisters' climactic "I Will Never Leave You" is a triumph. It's all typical stuff that's been done plenty of times before in other musicals. Yet it's delivered with such polish that it's hard not to fall for the show's charm. Fans of Wicked will recognise Louise Dearman (Daisy), whilst Laura Pitt-Pulford (Violet) has notably performed in musicals across the country. Their faces may be familiar, but to miss them in action would be foolish - they sing wonderfully with voices that necessarily blend sumptuously. They also do well to create distinct characters despite being perpetually joined: the headstrong, rebellious Daisy hungry for fame and the sensible, reserved Violet who melts in the face of love. 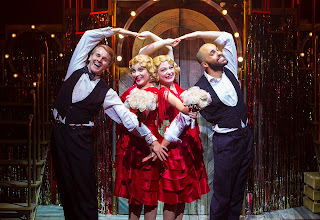 The supporting cast are also excellent, performing enjoyable choreography from Matthew Cole whilst in glamorous period costumes. And Dan Samson's sound design succeeds where others have failed in this venue, delivering great balance between singers and orchestra. 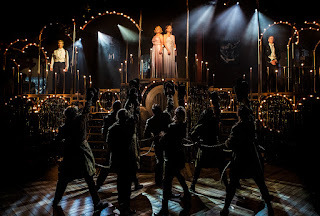 Too often the actors play to the front of the thrust stage, neglecting those in the side seats who also miss out on seeing the glorious set from designer takis whose seemingly floating bulbs shimmer against steampunk metallics. 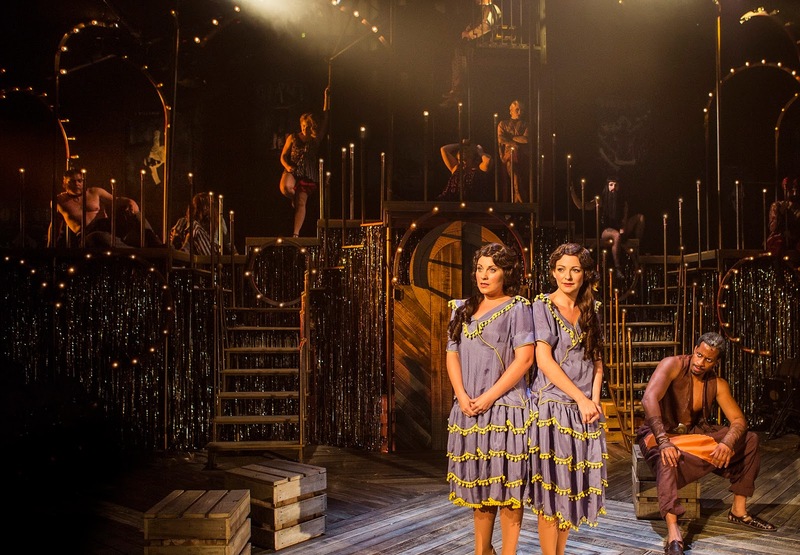 On the whole, though, director Hannah Chissick has provided the Southwark Playhouse with another successful UK revival of a little known musical. 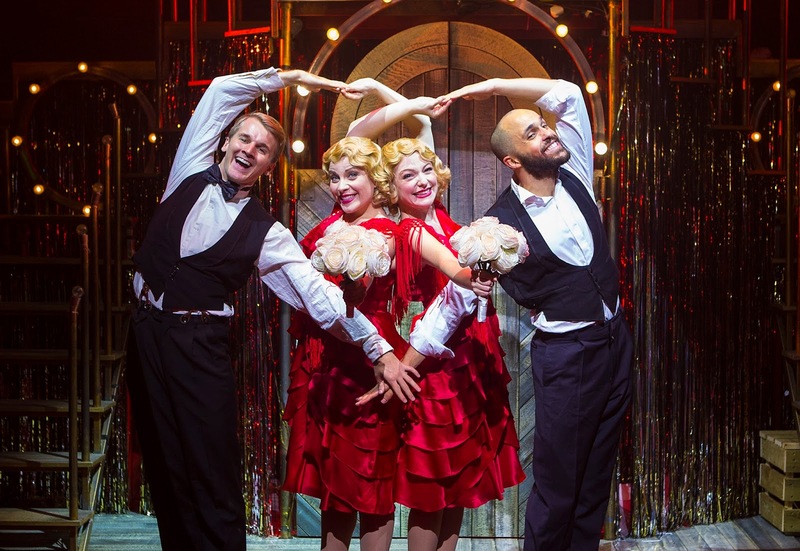 Yet in doing so, Side Show is exposed as more conventional than its cast of freaks would have you believe. 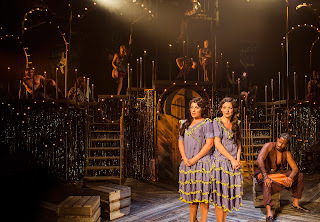 Watch: Side Show runs at the Southwark Playhouse until 3rd December. Director Patrick Kennedy has been working consistently with American composer Stanley Silverman to bring the weird and wonderful world of Silverman and writer Richard Foreman's theatrical works to the UK. 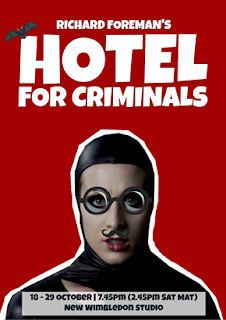 Hotel for Criminals is no exception. As Kennedy notes, this is by no means a traditional musical. The loose story of a journalist investigating a French criminal known as Fantomas is told abstractly through short scenes, a deadpan script and art songs that (whether individually or together) make little to no sense. A voiceover attempts to provide some structure, whilst an alarm rings in each scene change, but it's not enough to really allow the audience to grasp the narrative. Yet this also serves to unsettle and unnerve the audience, the varying scenes quietly humorous in their absurdity. The production is stylistically brave, with actors moving robotically around the stage and delivering their lines through masks and heavy make-up like possessed puppets. It's a mix of Tim Burton meets 20th century expressionism: frightening, humorous and fascinatingly weird. Silverman's score follows suit, with rich vocal harmonies and elegant melodies dappled amongst chromatic recitative and horror film discordance. There are influences of Debussy, operetta and American show tunes that together create a distinctive sound world with a disjointedness befitting the fractured narrative. These tunes are sung wonderfully by a talented cast with fixed, almost cartoonish, expressions. Alistair Frederick offers a piercing tenor as Max; Madelaine Jennings's soprano is well-suited to the innocent Helene; and Kate Baxter is terrifying as the vampiric Irma Vep. Hotel for Criminals is frustratingly obtuse, but there's a macabre allure in its phantasmagorical atmosphere. Watch: Hotel for Criminals runs at the New Wimbledon Studio until 29th October.